The present owners sailed her back from New Zealand cruising extensively. 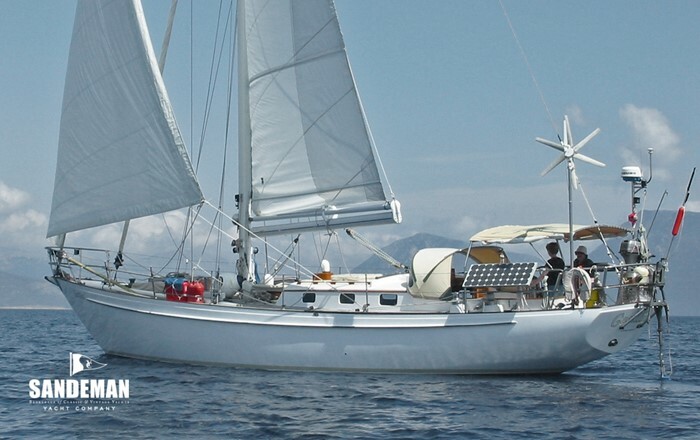 Fully equipped for voyaging, with solar panels, wind generator, radar, SSB. Currently lying in Jersey, Channel Islands laid up afloat for the winter.